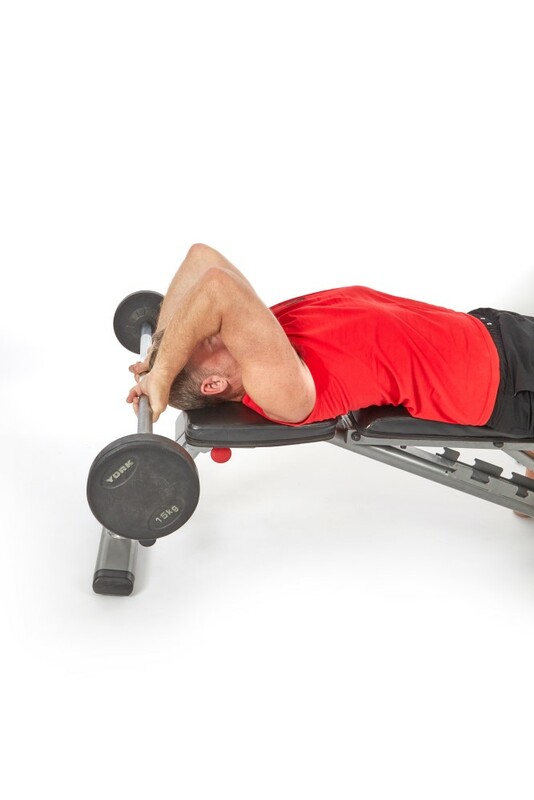 Lie on a bench with a barbell (or EZ-Bar if you have one) and hold the bar above your head, hands close together, with palms facing towards your feet. 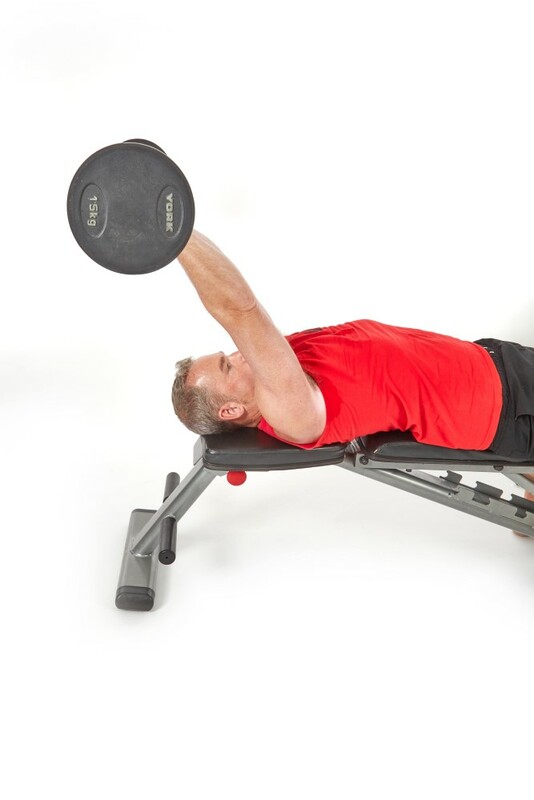 Without moving your lower arms at all, ensuring your elbows are pointing to the ceiling at all time, lower the barbell so that it just goes behind your head. Try and keep your elbows and as arms as close to your head as possible. Once you reach the bottom, without moving your lower arms, push back up to the top till your arms are completely straight. To really make the triceps burns, imagine you have a big elastic band around your elbows pulling the as close together as possible. If they flair out, you will gain very little definition in your triceps.